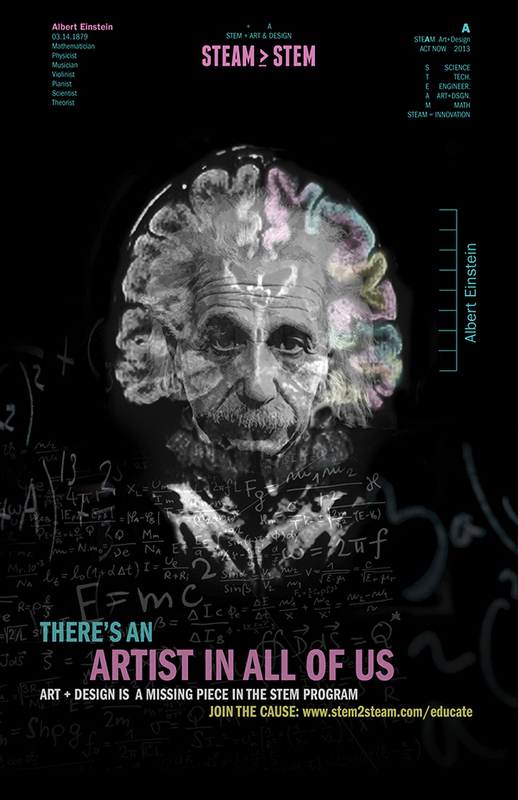 Poster series that promotes the addition of Art + Design in Obama's STEM (Science, Technology, Engineering and Mathematics) program. 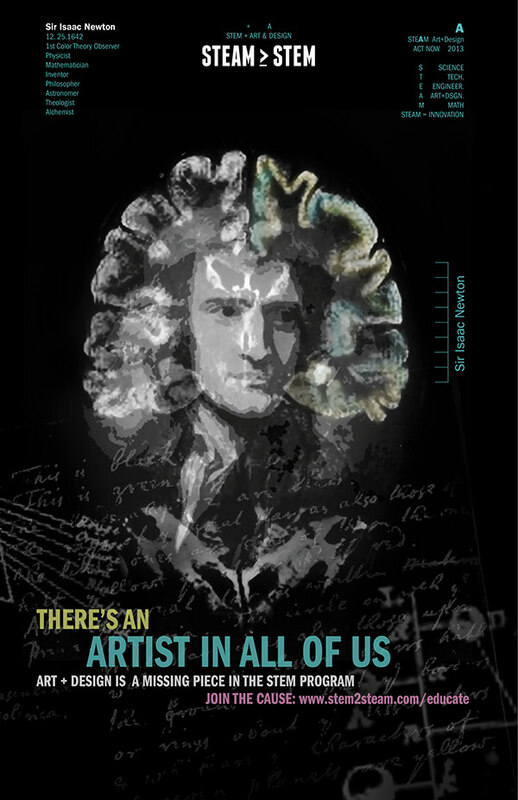 The concept revolves around the idea that innovative ideas come from various fields and minds acting together. Both the left and right brain are also used together to bring brighter ideas. 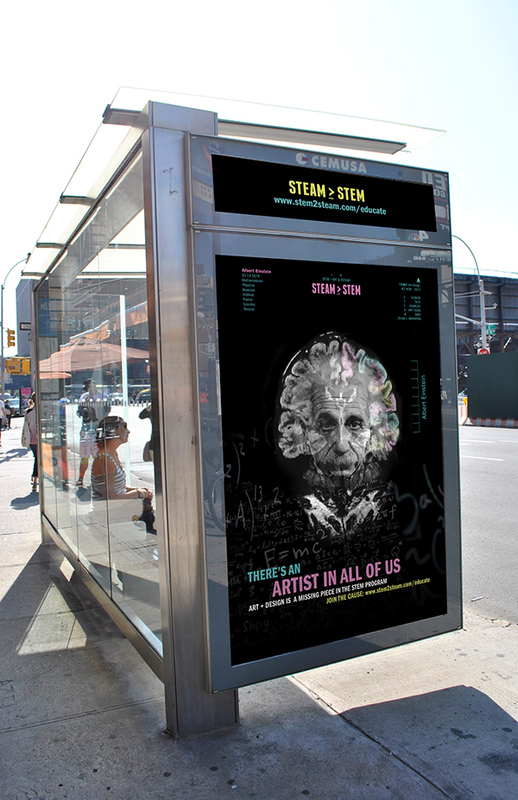 The poster design also presents well-known geniuses throughout time who have significantly impacted the world. They are also individuals who excelled in various subjects. These individuals show the importance of using all sides of the brain and that innovations are a result in doing so. 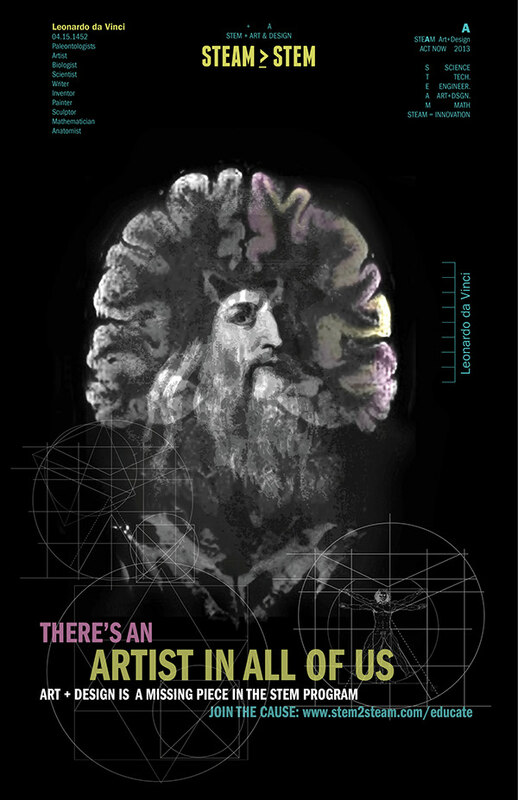 The design was also inspired by brain scans and the photographic process of "negative sandwiching," a photographic technique where images from different negatives from a film are merged in the enlarger.